Plans have been unveiled for the Racing Point Formula 1 team to build a brand-new £25 million factory at its Silverstone site. 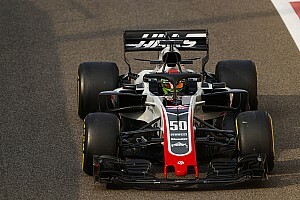 The fifth-best team in Formula 1 last year, Haas largely owes its success to its efficient racing model, in which it outsources the design and build of the car. We went on tour of its UK base to see how the model works in practice. A Brazilian Formula 4 driver has won McLaren's latest Esports competition after one-off shootout race held at the team's Formula 1 base. The winner of McLaren’s latest Esports competition will be crowned tonight in an online race held at the McLaren’s Formula 1 HQ in Woking. Two dinners - one with Niki Lauda, one with Gene Haas - have shaped the destiny of Gunther Steiner's life in motorsport. So what better way to talk through Steiner's fascinating life and career than another dinner? The man responsible for bringing Michael Schumacher to Ferrari, former president Luca di Montezemolo, takes F1 Racing on a guided tour of a new private collection dedicated to the career of the seven-time champion. 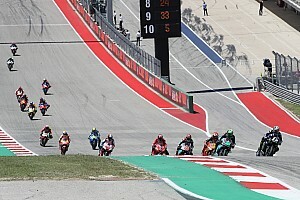 The Austin Formula 1 race has established itself as a firm favourite, as much for the fun to be had off-track as the great racing on it. But now it's time to spread the message. Michael Schumacher broke the mould in terms of what it meant to be a Formula 1 driver - and while he's no longer competing, his legacy lives on in a whole new generation of thoroughly modern racers. An engineering student will begin a work experience placement at Renault's Enstone Formula 1 factory in January after winning the final round of this year's Infiniti Engineering Academy. American Ryan Hardwick was crowned Lamborghini Super Trofeo AM class world champion with a third-place finish in Sunday’s World Finals races at Vallelunga. Lamborghini has unveiled a brand-new sports utility vehicle (SUV) that will form the basis of a new championship in 2020. Clazzio Racing’s Kei Cozzolino and Afiq Yazid inherited victory in a chaotic race in the Super Trofeo Pro class at the Lamborghini World Finals on Saturday afternoon. They pair took the win at the Italian circuit of Vallelunga after their nearest rivals were struck with penalties. American Ryan Hardwick came from third on the grid to take a superb victory in the first Lamborghini World Finals race for the Super Trofeo Am category at Vallelunga on Saturday afternoon. Giacomo Altoe will start on pole position for Race 1 of the Lamborghini World Finals in the Super Trofeo Pro class category, while Daniel Zamperi will line up first on the Race 2 grid. Qualifying for the Lamborghini World Finals began in Vallelunga Saturday morning, with two sessions for each of the final two races for the AM and Lamborghini Cup classes. Formula 2 hotshot Lando Norris gets his F1 debut next year with McLaren. But the troubled team have mangled the career paths of recent recruits including Sergio Perez, Kevin Magnussen and Stoffel Vandoorne. So how will Lando fare? Manuel Lauck and Florian Scholze stayed out of trouble to triumph in the second Super Trofeo Europe AM & Lamborghini Cup race at Vallelunga. Trent Hindman and Jonathan Cecotto won a thrilling battle in the final round of the Lamborghini Super Trofeo North America series. Daniel Zampieri and Giacomo Altoe triumphed in the Super Trofeo Europe Pro & Pro-Am race, the third of six races taking place at the Vallelunga circuit, north of Rome, on Friday. The second race of the Lamborghini World Finals was won by German racers Florian Scholze and Manuel Lauck for Dorr Motorsport in a thrilling finish to the line. Kei Cozzolino and Afiq Yazid took the opening victory in the Lamborghini World Finals race at Vallelunga on Friday morning.